Fall leaves fish nature craft – Making fish art with real fall leaves is an easy nature activity for children. 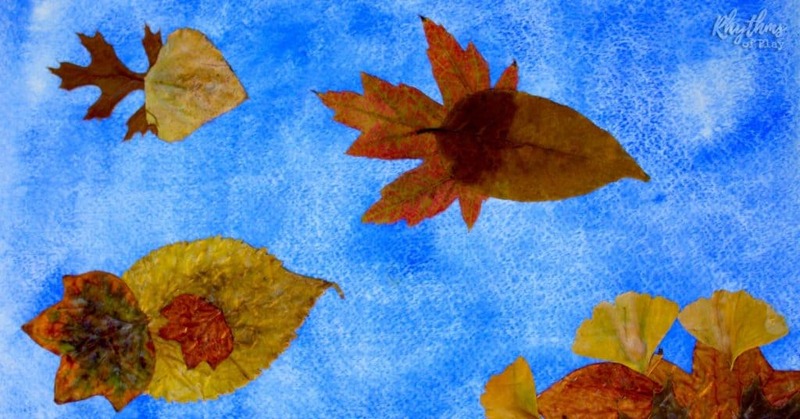 This fish craft is made with autumn leaves and watercolor paintings. Once finished this beautiful fish in the sea fall leaf nature art can be framed and placed on the wall. This fall leaf craft also makes a wonderful keepsake gift! My daughter has been painting with watercolors as a part of her homeschooling so I have been looking for creative ways to use them. After reading Leaf Man by Lois Ehlert with her one day, we were inspired to create some of our own autumn leaf nature crafts using her paintings as the background. We got out some of her paintings and some fall leaves we have been collecting on our daily walks and viola’! It was so easy and fun we can’t wait to make some more. My husband loves them so much he wants to frame and hang them. For more fun autumn nature crafts check out Top 10 Fall Nature Crafts or this amazing acorn marble necklace nature craft! Wet-on-wet watercolor paintings or construction paper or colored cardstock . Need leaves? Go on a Nature Hunt. If you don’t have any watercolor paintings you can create some first using the single color, two color, and three color wet-on-wet watercolor tutorials. Click on the links above to learn more about this process. Short on time and don’t have any watercolor paintings? Use construction paper or another painting that would work. Step 1 – Paint watercolor paintings to make a canvas for your fish art. Use our wet on wet watercolor painting tutorials or use a watercolor paint pallet or liquid watercolor paints to make some watercolor paintings to use as a canvas for your fish nature craft. 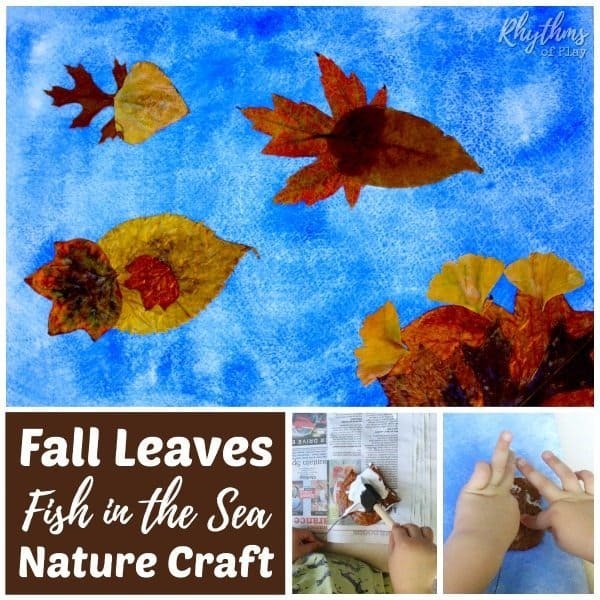 Step 2 – Play with fall leaves to make different types of fish art. Using a single lobed oval-shaped leaf as the body, and a leaf with 3 or more lobes overlapped stem side on top of stem side make wonderful looking leaf fish craft! You can even use another small leaf to add a fin if you like. 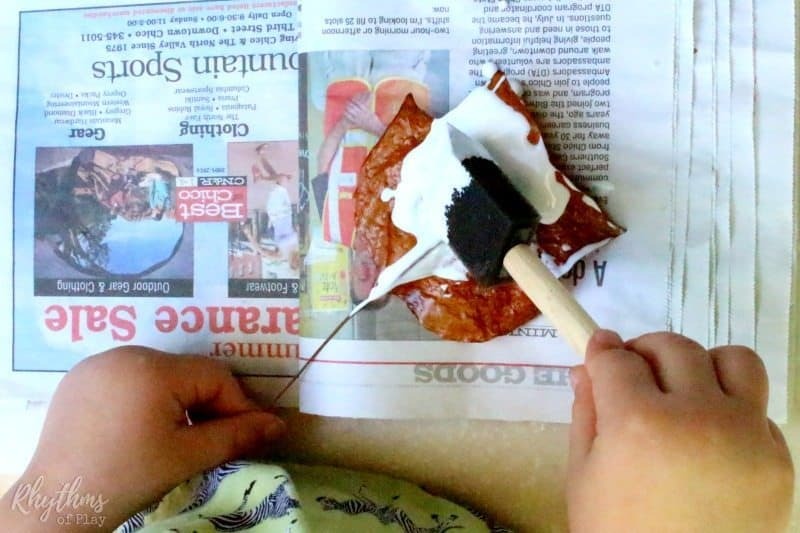 Step 3 – Use a foam brush to paint Mod Podge on the back of each autumn leaf. Step 4 – Glue your fall leaf fish onto a watercolor painting to make fish art. You can also glue the fish craft to construction paper or colorful cardstock if you don’t have the time to paint with watercolors . Step 5 – Brush Mod Podge over the fish art to seal and protect the fish nature craft. The leaves in the bottom right corner of the picture were made to look like a part of an ocean reef, but you can play with the leaves to create anything you like. Related: Fall Book for Kids: Autumn Stories Children LOVE! 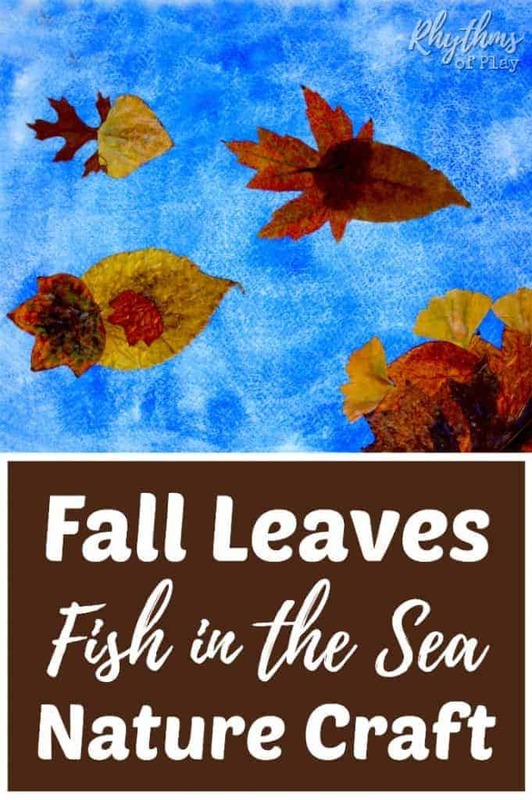 Use real fall leaves to make this cute fish in the sea fish art! This fish craft is an easy fall nature craft for both kids and adults. This fish nature craft makes beautiful DIY home decor and a homemade gift idea that kids can make! For more nature craft and art ideas, be sure to check out these amazing fall nature craft ideas, and this collection of the best fall art projects for kids. Don’t forget to check out our fall bucket list for the best autumn EVER! Learn more about Rhythms of Play HERE!